BRYAN EATON/Staff photo. 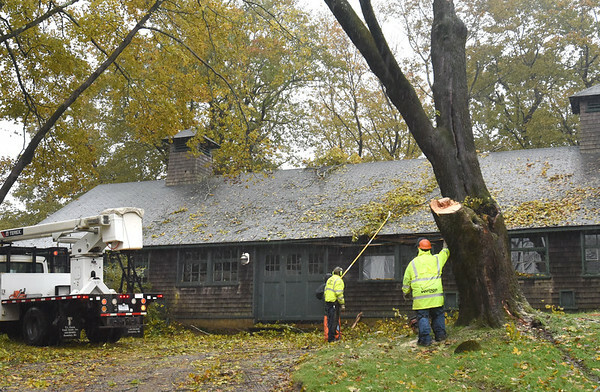 The Maudslay Art Concert Barn was damaged by this tree during the weekend's storm. A crew from the DCR were in the process of taking the rest of the tree down Monday morning.